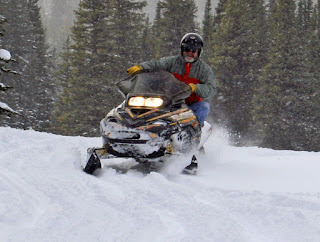 Join our white mountain snowmobile tours! It was -2º and clear. We had an inch of fresh snow yesterday evening, a bit warmer than usual for this time of the year. We loaded the snowmobiles, brushed off the trucks, to be ready before breakfast. After the first and most important meal of the day we headed down the snowy lane, in search of the best Alpine powder in BC. When we made it to the top of Truax, we were overlooking the Hurley, Cadwallader, Pearson Ridge, Slim, Carpenter Lake. After exploring a few roads and trails in the morning, we headed for a campsite at the lake for lunch, grilled cheese cooked on the fire. Exploring down the power line we found a radio tower lookout, Cougar tracks and a nice old cabin. We stopped in at our winter hut for hot chocolate on the white mountain. Snowmobile tours are exhausting work! By the time we got back to the trucks the sun was down and we were just in time for the home cooked meal waiting for us at the ranch, sitting by the fire watching the days' Videos and relaxing filled our evening. Experience the open alpine powder of the Chilcotin range; fantastic 360 degree views and sunny skies. We have two feet of new snow and our staff are breaking trail to the high country again! We just got over a cold snap, of -25, last week, it was a balmy +1 last night. 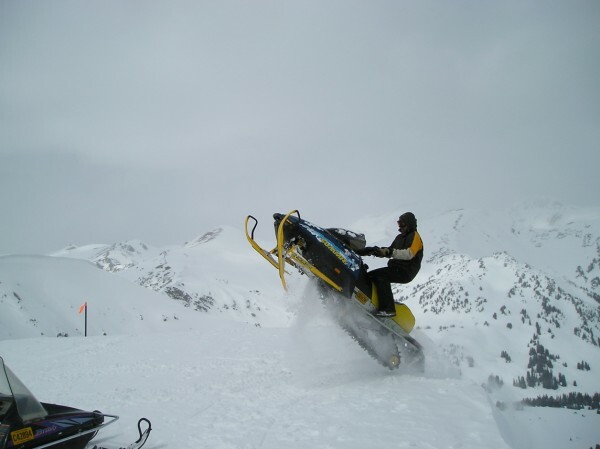 Book your trip on our white mountain snowmobile tours now!